The Beas River in Manali originated from the Himalayas, passes through the kush evergreen forests and hills and ends at Punjab. It embraces with the Satluj river, before entering Pakistan. The river is the source of drinking water for the people in Kullu, Manali and Kangra regions. 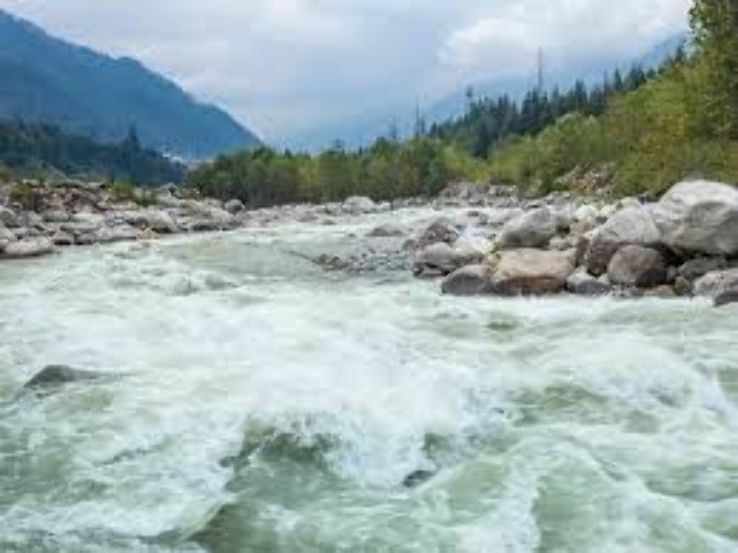 The river has a tranquil environment which has incited many sages like Vashisht, Narad, Vyas, Parshuram and others into meditation in the ancient times. The River Beas, even today is said to have holy water, attracting tourists and pilgrims from all over India. Photographers can visit the place to capture the backdrop of the large clearwater river, surrounded by timbered Hills. The nature lovers must visit the river. The poets can visit the river to contemplate in the peaceful setting.